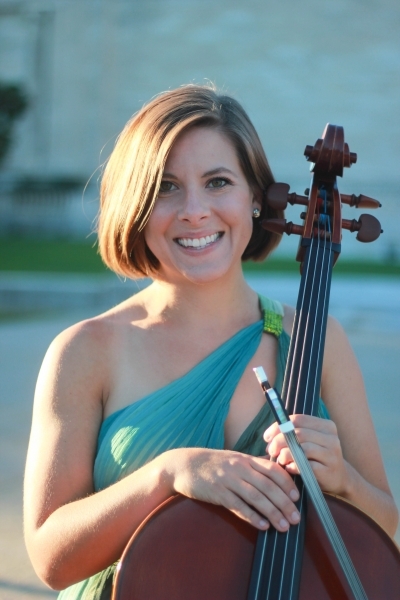 Congratulations to cellist Meghan Carey ('09 B.M.) who has joined the music faculty of Austin Peay State University (Clarksville, TN) as assistant professor of low strings. Originally from Lewisburg, PA, Meghan was previously an adjunct faculty member at the University of West Florida, where she taught cello, bass, and string literature. An enthusiastic performer of chamber music, she spent two years as a member of the Eppes Quartet, the graduate string quartet at Florida State University. Previously, she was a founding member of the Judson String Quartet, a Cleveland-based group that placed an emphasis on community outreach performances, and was the recipient of the Francis E. Sykora Outreach Grant through the Cleveland Institute of Music. Additionally, she was a first prize-winner of the MENC Pennsylvania State Chamber Group Competition as a member of the Valens Piano Quartet. Meghan also spent a summer as a member of the string quartet in residence at the Interlochen Summer Arts Academy, where she also served as a faculty member. As an orchestral player, she currently serves as principal cello of Sinfonia Gulf Coast, and also performs frequently with the Charleston Symphony, Mobile Symphony, Southwest Florida Symphony, and the Tallahassee Symphony. Previous orchestral positions include principal cello of the Northern Tier Symphony Orchestra and the Altoona Symphony Orchestra, as well as assistant principal positions in the Williamsport Symphony and the Pennsylvania Centre Orchestra. As the winner of the 2016 Florida State University Doctoral Concerto Competition, she is looking forward to a solo performance with the University Symphony Orchestra. Meghan has performed in masterclasses with Steven Isserlis, Raphael Wallfisch, Colin Carr, Andrés Diaz, Lynn Harrell, and David Finckel. She is in the final process of completing her doctorate degree in cello performance at Florida State University, writing her dissertation on the cello music of Bohuslav Martinu. She received her master's degree from the Cleveland Institute of Music, where she was a student of Sharon Robinson. As a Penn State student, she studied in the studio of Kim Cook and was the recipient of an Eleanor Beene scholarship.